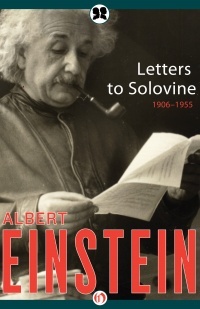 A provocative collection of letters to his longtime friend and translator that spans Einstein’s career and reveals the inner thoughts and daily life of a transformative geniusFrom their early days as tutor and scholar, discussing philosophy over Spartan dinners, to their work together to publish Einstein’s books in Europe, in Maurice Solovine Einstein found both an engaged mind and a loyal friend. While Einstein frequently shared his observations on science, politics, philosophy, and religion in his correspondence with Solovine, he was just as likely to express his feelings about everyday life—his health and the effects of aging and his experiences in the various places where he settled and visited in his long career. The letters are both funny and frank, and taken together, reflect the changes—large and small—that took place over a half century and in the remarkable life of the world’s foremost scientist. Published in English alongside the German text and accompanied by facsimile copies of the original letters, the collected Letters to Solovine offers scholar and interested reader alike unprecedented access to the personal life of Albert Einstein. This authorized Philosophical Library edition features a new introduction by Neil Berger, PhD, and an illustrated biography of Albert Einstein, which includes rare photos and never-before-seen documents from the Albert Einstein Archives at the Hebrew University of Jerusalem.